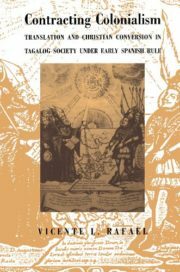 In an innovative mix of history, anthropology, and post-colonial theory, Vicente L. Rafael examines the role of language in the religious conversion of the Tagalogs to Catholicism and their subsequent colonization during the early period (1580–1705) of Spanish rule in the Philippines. By tracing this history of communication between Spaniards and Tagalogs, Rafael maps the conditions that made possible both the emergence of a colonial regime and resistance to it. Originally published in 1988, this new paperback edition contains an updated preface that places the book in theoretical relation to other recent works in cultural studies and comparative colonialism.